The pop icon has four adopted children from Malawi. Madonna might be one of the world's biggest pop stars, but she's first and foremost a mother. After adding her adopted five-year-old twins, Estere and Stella, to her family in February, the singer became a proud mom of six. But while Madonna went through the adoption process three times to become the mother of her four youngest children, it was not an easy journey. In a new interview with People magazine, the 59-year-old revealed the surprising hardships she encountered. The first was the unexpected backlash she received from the public after she brought her son David Banda home from Malawi in 2008. "Every newspaper said I kidnapped him," Madonna revealed to the mag. "In my mind, I was thinking, 'Wait a minute. I'm trying to save somebody's life. Why are you all s—ing on me right now?' I did everything by the book. That was a real low point for me. I would cry myself to sleep." Madonna adopted David from an orphanage in Malawi's capital, Lilongwe, with then-husband Guy Ritchie. At that time, David was just an infant and was suffering from both malaria and pneumonia. David's adoption made him the youngest of Madonna's three kids. At the time, the singer was already a mom to Lourdes, who she had from a previous relationship with Carlos Leon, and Rocco, who she had with Ritchie. Interestingly, Madge met David and her second adopted child, Mercy James, around the same time in Malawi, however the two kids lived in separate orphanages. 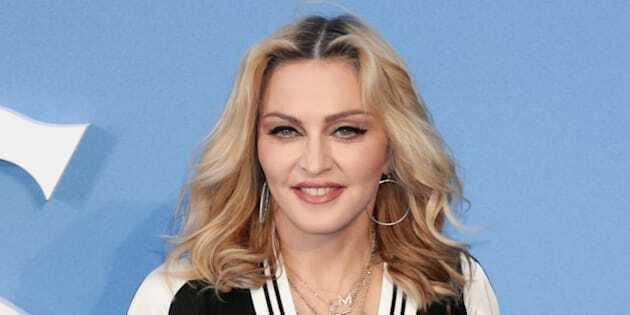 Despite the backlash she received from her first adoption, Madonna went through with her second, but was given a hard time by Malawian officials. According to the singer, she was told she was "not capable of raising a child" as a single mother, since she was recently divorced from Ritchie at the time of her application. "The way I was treated — that sexist behavior — was ridiculous," she said. This isn't the first time Madonna has opened up about the treatment she received from officials while trying to adopt her daughter. Last month, at the opening of The Mercy James Institute for Pediatric Surgery and Intensive Care in Malawi, she said: "[The judge] informed me, as a divorced woman, I was not fit to raise children and that Mercy James was better off growing up in an orphanage." Despite the judge's refusal, the ruling was eventually overturned and Mercy was brought home in 2009, People reports. [The judge] informed me, as a divorced woman, I was not fit to raise children. Fast-forward eight years and now Madonna has added two more Malawian children to her brood. While the singer admitted the third adoption process was long and hard, she said it was "so worth it" in the end. "It's like they've always been here," the 59-year-old said of her youngest kids. Madonna has always been drawn to Malawi, which is why she adopted her four youngest children from there. The superstar first visited the African country in 2006, and later founded the non-profit Raising Malawi, which helps fight child poverty in the country. Besides Madonna, plenty of other celebrities have also chosen to adopt children on their own, with the most notable being Sandra Bullock and Charlize Theron. It took two years of waiting, and then one day, [the baby's] finally there, and it feels exactly how it's supposed to feel. While Bullock has never opened up about her adoption process, Theron has previously shared that the lengthy wait time was her biggest challenge when adopting her first child, Jackson, from the U.S.
"It took two years of waiting, and then one day, [the baby's] finally there, and it feels exactly how it's supposed to feel," the 42-year-old actress said in 2012. "I don't know how to describe it. It just feels right."